Are you looking to grow your business, expand, refurbish or buy new equipment such as specialist Italian Ovens, utensil and pot-washers, heavy duty cooking equipment or give your restaurant a facelift? If so, then you have found the perfect Italian Restaurant Loan. Our business cash advance product is the perfect way to find quick hassle free and more importantly unsecured business funding for your business. 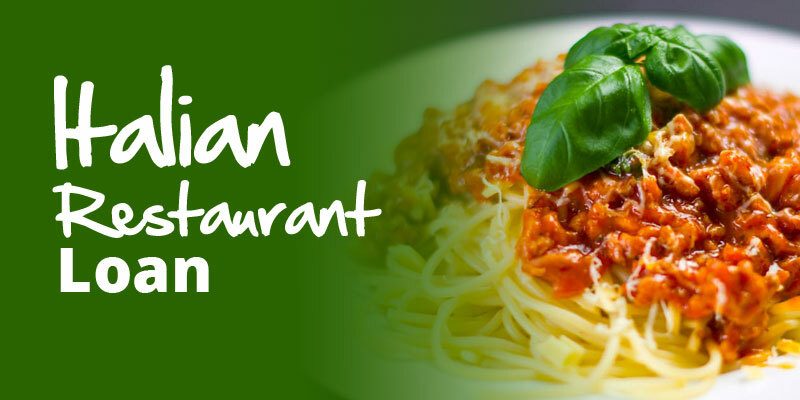 As an Italian restaurant you take many payments using your PDQ terminal and the customers credit and debit card payments. Did you know that you can access business funding based on you the turnover of these sales? Well you can. Rather than take a bank loan which usually requires security such as a personal or business asset such as your property to be secured against the funding a merchant cash advance is unsecured. It works beautifully alongside your cashflow. Let’s say you have a poor month on sales, you will only repay a percentage of those sales back to pay off the loan. Your cash sales are separate and are not taken into account. This type of alternative business funding is especially good for the hospitality sector with many restaurants having used our services over the last few years. We are proud to support Italian restaurants up and down the UK. We have special relationships with all our customers who have returned to us time and time again. The service is easy to use and the application is very simple with no long paperwork. We require some brief information and a quick call to follow up and you will have a quote usually within minutes with the funding secured sometimes the same day. We are here to help your business grow, whether you are merely requiring cash flow finance, funding for a marketing drive, equipment and kitchen funding or finance for a whole new establishment, we can help. Apply today for a quick and simple no obligation quote.